I didn’t have a category in which to place these last few restaurants I love, so here they are in no particular order. These restaurants have been solid contenders in my dining repertoire this year and hopefully, will continue to impress in 2015. Starting with Los Angeles County, Dominique’s Kitchen in Redondo Beach has been winning us over again and again. This year, we visited a total of four times — a mean feat when you think about how many restaurants I actually get to return to every year. It has become my son’s favorite restaurant and he will find any excuse for us to dine here. Chef Dominique Theval and his wife Liza run this little French bistro which offers some of the best home-style fare southern California has to offer. 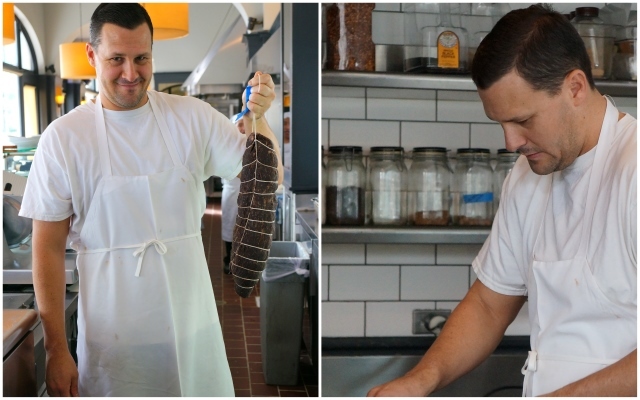 Chef Dominique creates his own rillettes, pates, lamb sausages, and a myriad of other things to tickle your fancy. If you’re planning to visit, make sure you call for a reservation because they get packed. There are two posts from 2014, but here is my most current one. Chef Frank DeLoach is a young chef who has almost the exact same palate as I do. Therefore, it is always such a pleasure to eat something he’s created. His combination of tart, heat and savory is spot-on and has cooked some of the best Asian-inspired dishes I’ve ever eaten. 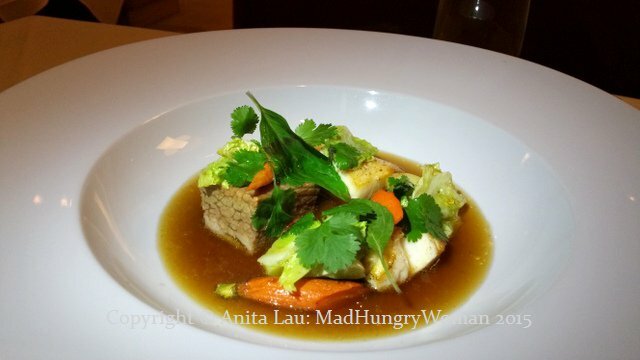 His ability to present Asian flavors on a plate is incredible — he’s not Asian — and blows me away every time. The menu at Tavern on 2 in Long Beach is focused on gastropub fare, but that’s not what I go there for. Choose any of the non-Western dishes on the menu for one of the most tantalizing journeys your tastebuds will go on. You can read my review here. There’s something about family-owned and run restaurants which appeal to me. 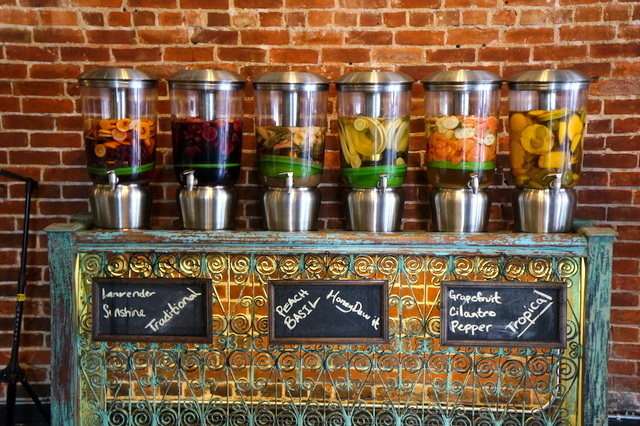 Ceppo (pronounced che-po) in Huntington Beach is one of them. Its location is its biggest enemy which does absolutely no justice to what the restaurant has to offer. Pair with that a drab ambiance and most people would not even bother stepping inside. However, once you do, you will be so pleasantly surprised by the skill of Chef Tomi who previously owned what’s it called in Newport Beach. 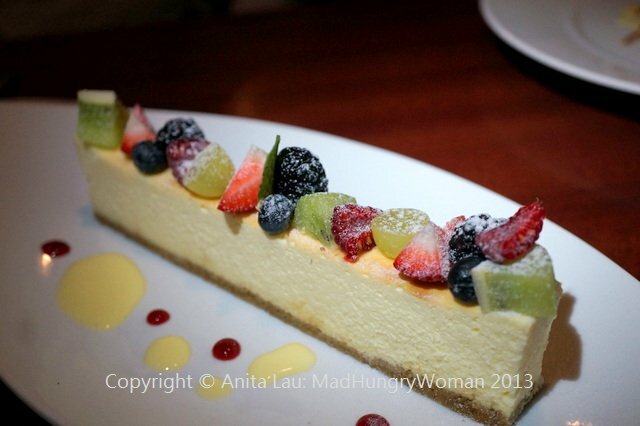 Not only are the main dishes incredible, but you will be blown away by the beautiful desserts as well. Read about my visit here. I was at first skeptical about Selanne Steak Tavern because of its celebrity attachment, however, all was quashed when I experienced one of the best meals this year, along with top notch service to boot. The restaurant is beautiful regardless whether you sit on the outside patio or in the many rooms inside. Old school charm in a modern setting is what I call it, where the impeccable attention to detail makes you wonder why no one else is doing the same. I won’t spoil it for you, but I was just blown away by all the little things Selanne Steak Tavern adds to a visit — some might not even recognize them, but I sure did! Here’s my post from this year. 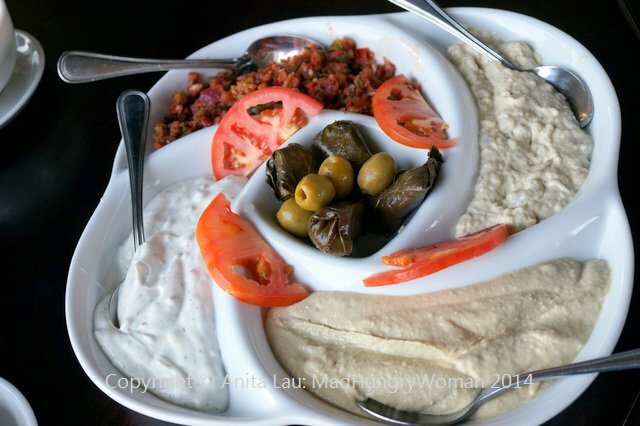 Istanbul Grill is one of those restaurant you will easily miss if you’re not looking for it. Located in a plaza across from the Costco in Fountain Valley, it is not exactly in a great spot, but once you’ve eaten here, it will fast become your favorite Middle Eastern place. The food is flavorful and can absolutely compare with some of the best out of lil Arabia. During lunch time, the crowd can be overwhelming so I suggest going early. Here’s my post from this year. My last pick is Counterpoint in San Diego, a little neighborhood eatery which has been on my mind ever since we visited several months ago. My son still comments on the Brussels sprouts whenever I make mine at home because they are not nearly as good as the kimchi infused ones here. Counterpoint offers a menu of familiar comfort foods, but all with a bit of a twist, like the pastrami sandwich made with tongue. The menu is almost completely made in-house including sausages and pickles, which is highly impressive when you see how small the restaurant is. You can read about it here. There you have it. This is my last post of the year and I want to thank all of you for your continued support and readership. 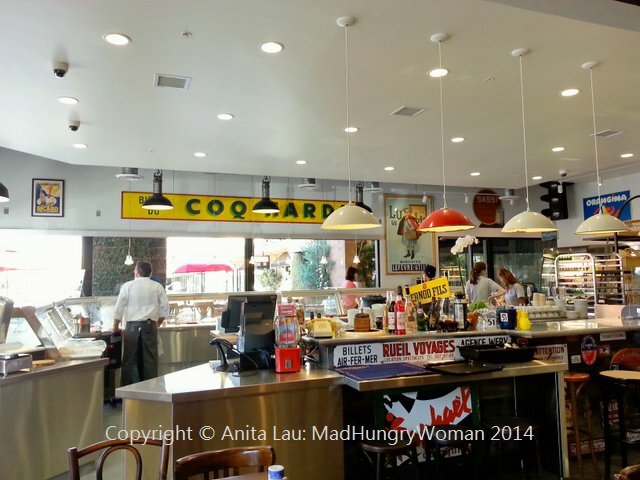 Join me again in 2015 for more food finds all across southern California and beyond. 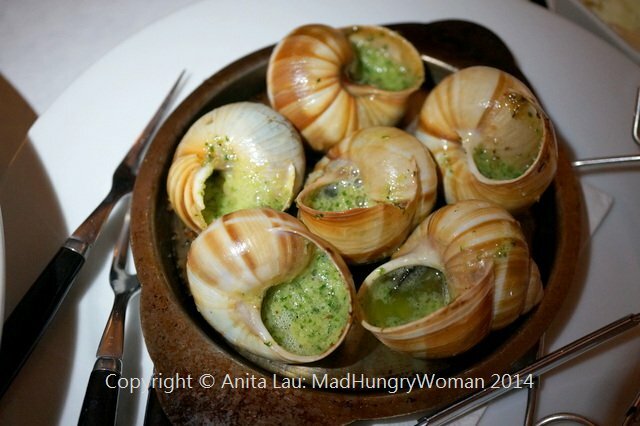 If you have any suggestions of your favorite restaurants, please let me know! Happy New Year to you all. There were so many new restaurant openings this year, way too many to name, and of course, not all of them were all that great. Here are five of my best new restaurants: each has stood out in its own way and I cannot wait to revisit them in 2015. 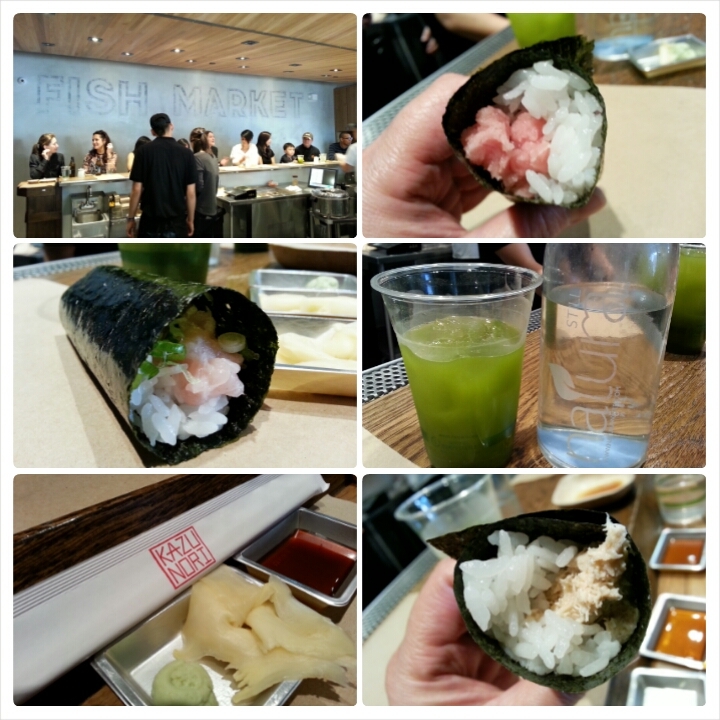 My only Los Angeles inclusion for 2014 is KazuNori, a little spot in downtown LA which serves Japanese style hand rolls. The restaurant only offers counter seating and reminds me of eateries in New York City, or Apple Pan in LA. You wait until a seat becomes available and then swiftly sit down. By now, you should have ordered on the slip of paper you retrieve by the door. Select three, four or five rolls if you want a sampling. Any additional you desire are available a la carte. We loved the blue crab, scallop and yellowtail. Service is friendly and there is paid underground parking in the same building. Whether you call it The Packing House or Anaheim Packing District, this one-stop eating destination is the hot spot to be at. 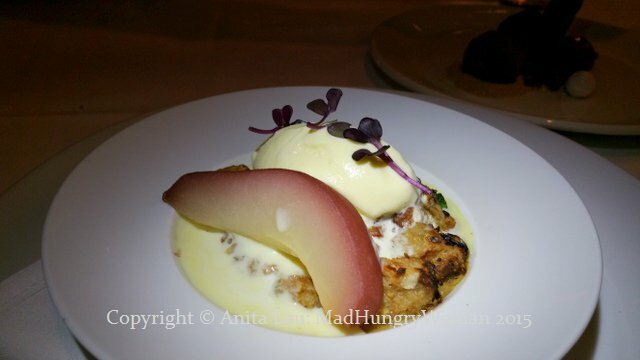 Chef Shachi Mehra’s ADYA is one of the restaurants located within and it is possibly my favorite Indian eatery in OC. The menu is different to what you usually find at Indian restaurants and offers a handful of snacks not found outside of Little India in Artesia. Must-tries include bhel puri, pani puri, and Indian sloppy joes known as pav. 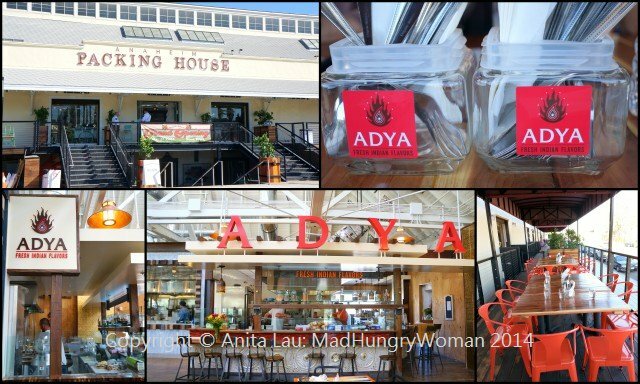 Read my post on ADYA here. Whenever I see Chef Ryan Adams’ name on something, I immediately know it’ll be stellar. 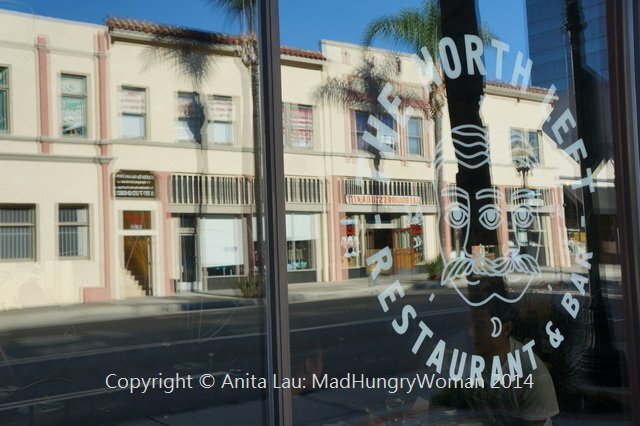 The North Left, which has taken over the old Crosby space in downtown Santa Ana is testament to that. I’ve been several times since it opened this year and brought friends as well. My favorite is the chicken nuggets. Most recently, Chef de Cuisine Aron Habinger added a whole snapper served on a board on the menu and my friends and I relished in picking off every little bit of the fish off the bone. Here’s my post from this summer. One of the most spectacular transformations this year was at the Hyatt Huntington Beach. 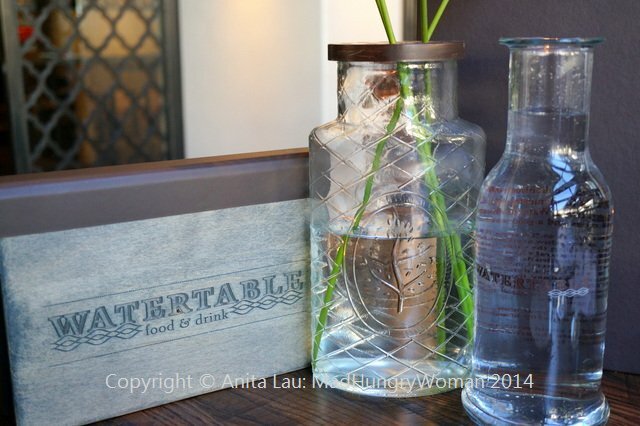 The old restaurant closed end last year and Watertable rose up from the ashes to take its place. The restaurant is not only beautiful, reminiscent of an opulent Spanish hacienda, but the menu consists of simple, yet delicious fare. You can experience Watertable in many ways, but one of my favorites is the bar area where a selection of bar jars are meant to be shared and enjoyed with the house-baked epis which arrive warm to the table. Read about Watertable here. Another incredible make-overs this year has got to be Moulin, which took over the old Pascal’s Epicerie location. Owner Laurent Vrignaud’s dream of opening a cafe in OC has been long in the making, and every intricate detail from the knick knacks to the furniture has been collected through the decades. Come for a croque monsieur, or just a coffee and croissant, no matter what your reason is for stopping by, you’l definitely be staying for a while. Read about Moulin here. 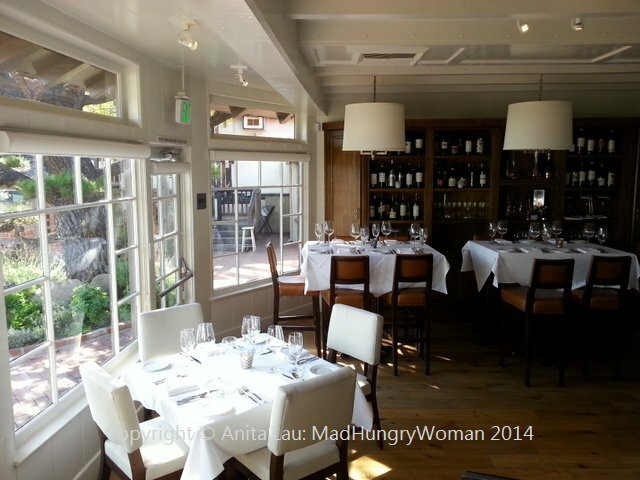 I am excited to see what new, exciting restaurants 2015 will bring to southern California. I look forward to traveling this journey with you in this search. Again, if you have a restaurant you have found, please let me know! Everyone knows I’m not big on desserts. In fact, I never leave room for it and am usually happy to skip it all together. Having said that, there are a few sweet treats I am never able to pass up. Ice cream is the number one culprit I can’t resist, then, there is panna cotta, followed by sabayon (or zabaglione). Therefore, it is no surprise that all of my five picks of the year are panna cottas. I apologize if some of these items are no longer on the restaurants’ current menu. Under normal circumstances, this would not be a dessert which appealed to me, however, Butterscotch Panna Cotta had the operative words “panna cotta” in it and therefore, despite the butterscotch, I was eager to try. After several visits, I’ll have to admit, it is one of my favorites at Boathouse Collective. The butterscotch is not overly sweet and the panna cotta is simply sublime. 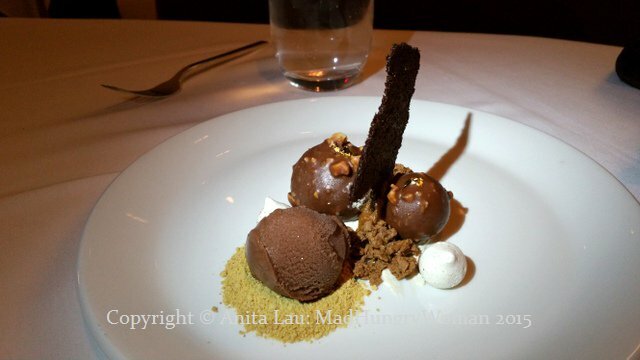 If you eat only one thing at Boathouse Collective, make it this sweet ending. It is no secret that I am a huge fan of Anepalco’s in Orange. Chef Daniel Godinez never fails to impress me with his vivid imagination and creativity. 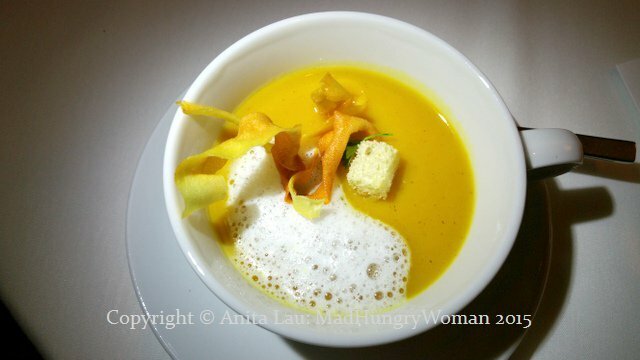 Often, when I hear the ingredients on his dishes I give him a skeptical look, but once I take a bite, it is always perfection. By now, I should know better than to have any doubts! 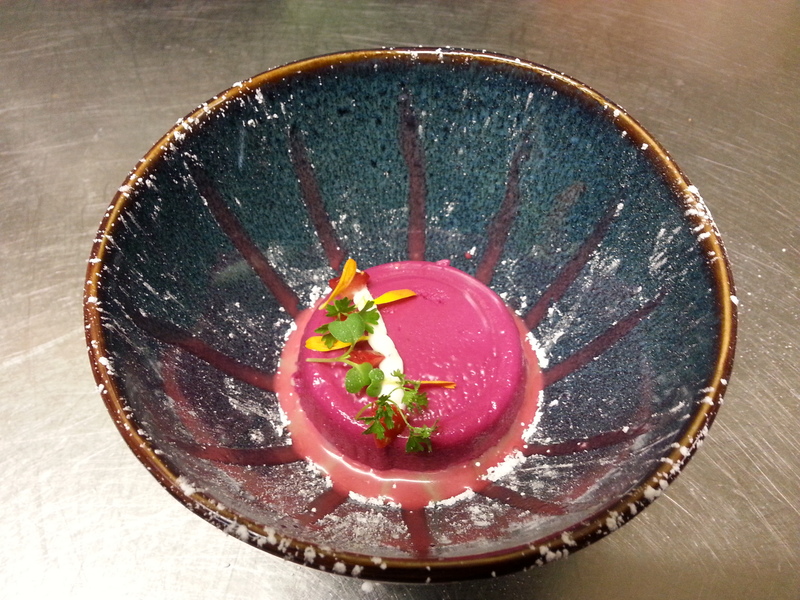 Right now, Coconut Beet Panna Cotta is a featured dessert at the restaurant and it blew me away the very first time I ate it. Earlier this year, I finished my meal at The North Left with Strawberries, a dessert which is not as simple as it sounds. 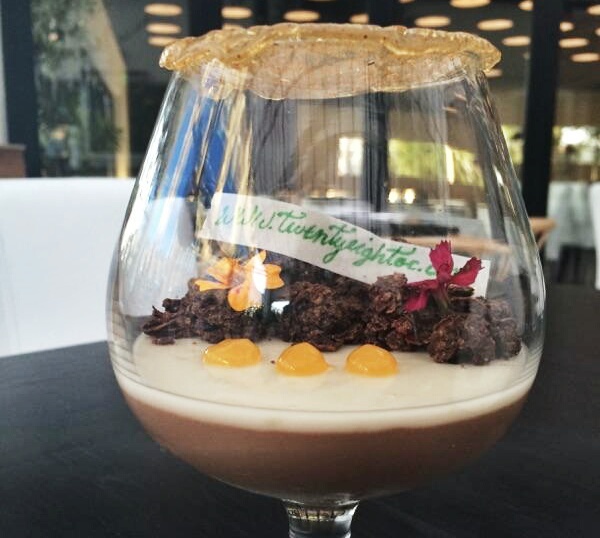 Pastry Chef Andrea Guzman’s incredible concoction of exceptionally smooth panna cotta possesses perfect consistency. 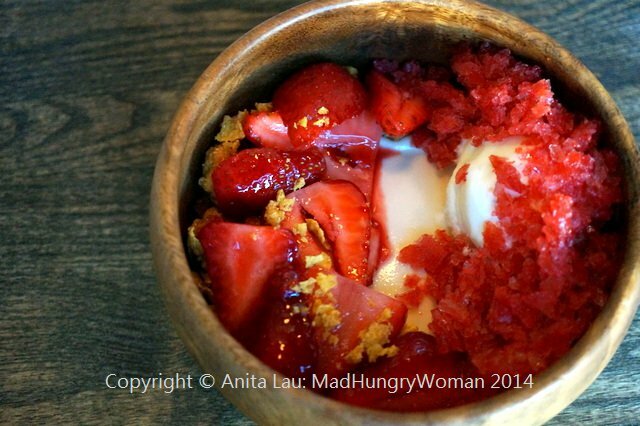 Add to that some strawberry granita and a sprinkling of cereal, and the bowl becomes a wondrous amalgamation of textures and flavors. 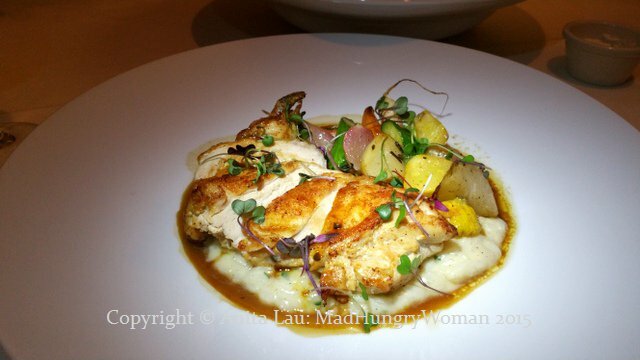 Top Chef winner Shirley Chung recently opened Twenty Eight in Irvine. Her Tofu Panna Cotta holds a special place in my heart because it is her take on “豆腐花” or soymilk pudding, which I grew up eating. Add to that some house-made red bean ice cream, ginger espuma and roasted salty peanut crumble and you have a combination of my favorite childhood desserts all rolled into one. Shoo-Fly Panna Cotta is my absolute favorite at The Ranch Restaurant & Saloon. 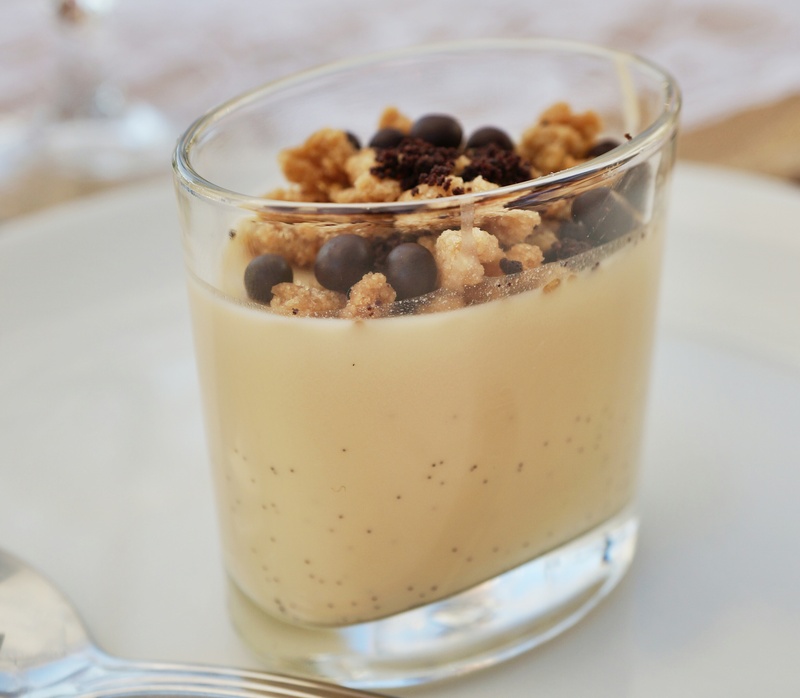 Executive Pastry Chef David Rossi tops it off with crispy streusel, rich dark chocolate balls, while the creamy panna cotta is like heaven on the tongue with hints of molasses finishing off on the palate. 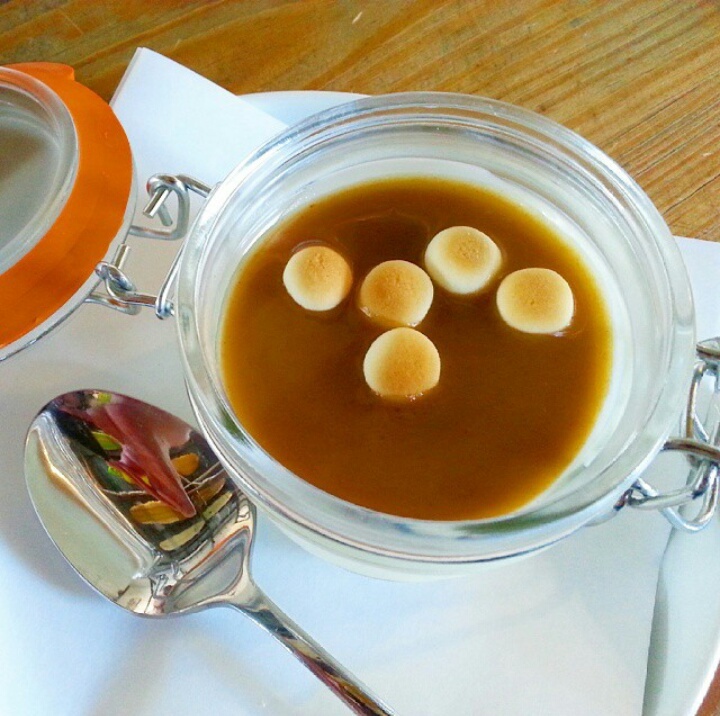 Who will come up with even better panna cottas in 2015? If you find some great ones, please let me know! 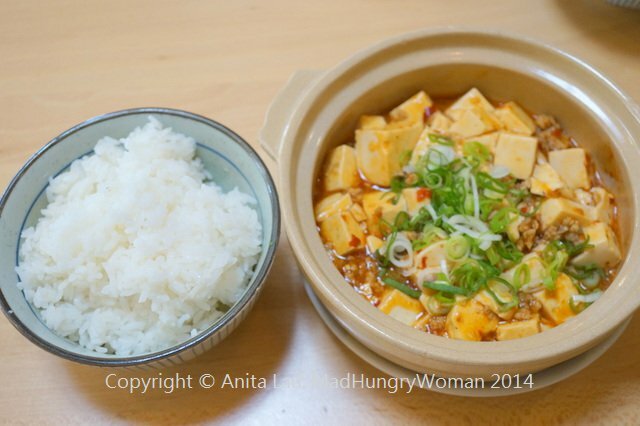 I often crave comfort foods I grew up eating. After a string of non-Asian meals, I will find myself gravitating towards something familiar, usually consisting of rice, but also, noodles of some sort swimming in broth. I also love spicy foods, so southeast Asian cuisines are especially popular in my culinary repertoire. One of my favorite restaurants is Rakiraki Ramen and Tsukemen, located in what may be considered as San Diego’s Chinatown. On every visit — which is practically every time I go to San Diego — I will order the ikagetso (fried squid) as well as chicken karaage (Japanese style fried chicken) and a ramen of some sort depending on my mood. 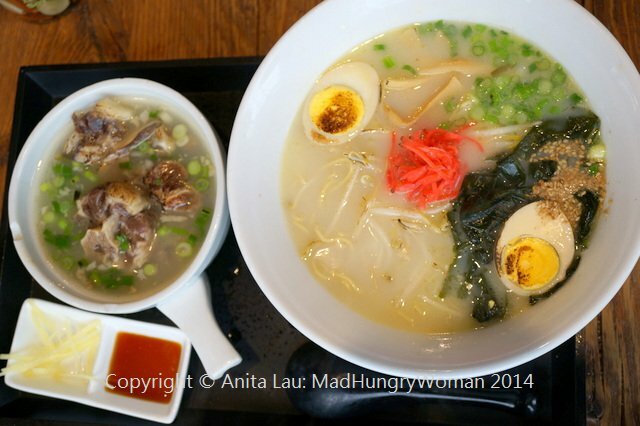 On my last visit, I returned once again to the original, one of the first ramen offerings I fell in love with from the start. You can read my visit from this summer, here. Vientiane is a hole-in-the-wall which I frequent at least once a month and now, have gotten some of my friends completely hooked on it as well. 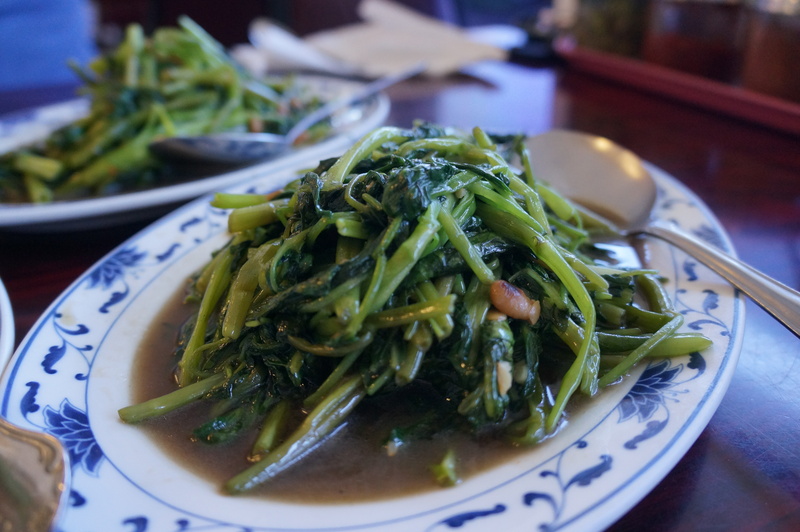 The northern Thai and Lao dishes are a huge hit especially the crispy rice, ong choy, Lao sausage, and if you’re into it, mok pa (steamed catfish in banana leaf). The kids who work here know my order and laugh when I veer off the usual because they know at some point during my meal, I will order the dishes I didn’t at the start. Here is my last post from 2013. 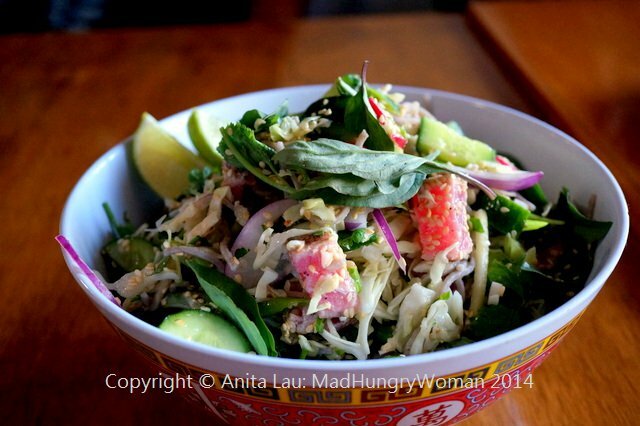 I found Rice Paper Bistro last year and it was one of my top 10 picks of 2013. This little spot sticks out like a sore thumb in the run-down strip mall it is situated in, but has remained a favorite in 2014. Step inside and you will be surprised at its modern feel and creative menu. 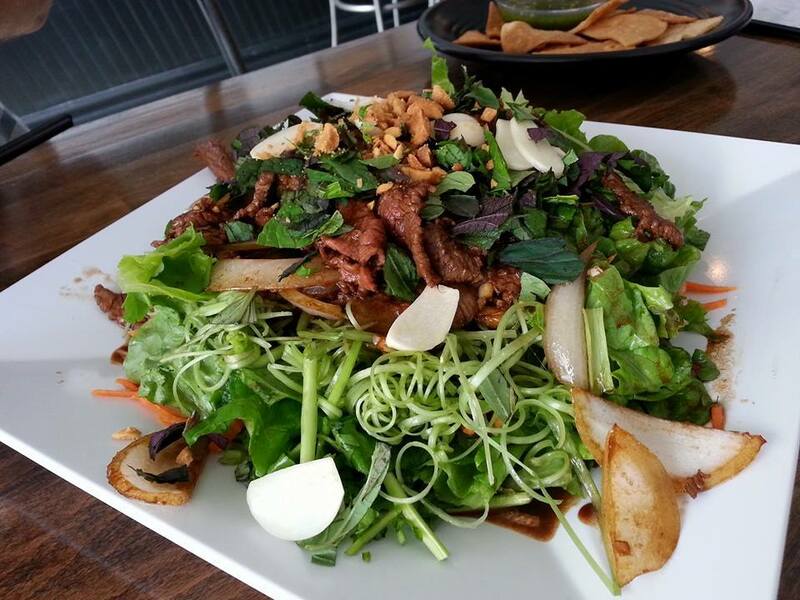 My favorites are the ong choy salad, fried frogs legs and my latest indulgence, beef with ginger and scallion. 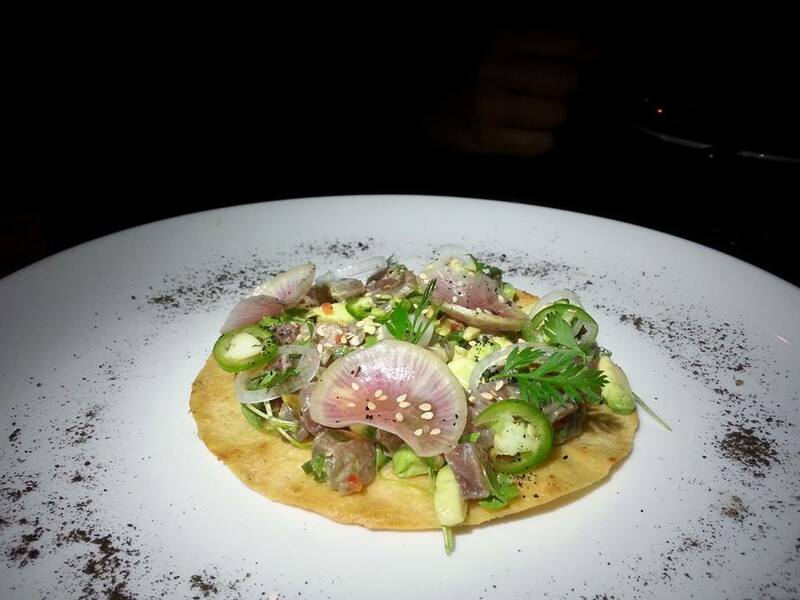 The specials board is often dotted with new and innovative dishes you’ll absolutely adore. Here’s my post from 2013. On cold days like these, my favorite thing to do is visit Tang 190 for one of its hearty Korean soups. Here, you can indulge in bone soup (sullungtang) which has that milky look from simmering for hours on end. 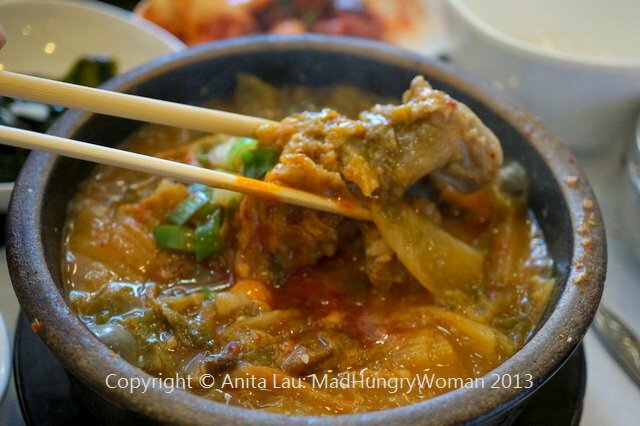 Enjoy a spicy beef soup (yukgejang) or my son’s favorite, bibimbap (beef stone pot rice). The Napa cabbage miso beef bone soup is currently my favorite. Read about Tang 190 here. Whenever I’m up in the Silverlake area of Los Angeles, Pine and Crane is a must-stop even if I am actually up there for a meal — I will order take-out to enjoy the next day. This little fast casual spot has been my favorite Chinese eatery this year with its tasty ma po tofu, 3-cups chicken, beef roll, dumplings and more. What I love most about the restaurant is its ability to create these traditional Chinese dishes but without the greasiness. We need Pine and Crane in OC! Read about them here. Stay tuned next week for more “best of” lists of 2014! This year, I’m doing something slightly different from previous years. 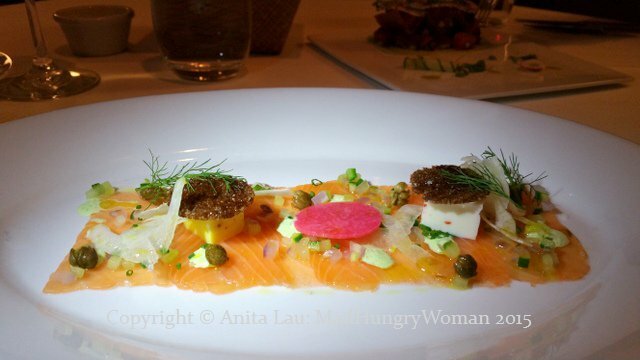 Instead of my 10 best restaurants of the year, I will be featuring some of my favorites in specific categories. I start with the five best “repeat offenders”, and these are non-Asian restaurants which I will return to over and over again just because I can’t get enough of it. One of my San Diego favorites is Cafe 21, now in its new location just a few doors down. It is bigger, better and virtually impossible to garner a seat on the weekends. From breakfast, lunch, to innovative dinner items, the menu is eclectic and ever surprising. Chef Leyla is creative both in the kitchen as well as the dining room — she designed the dining room herself. Together with her husband Alex, Cafe 21 has become one of those places my San Diegan friends are now calling their to-go-spot. You can read about my last visit here. When it comes to Orange County favorites, Anepalco’s is always my suggestion whenever friends ask me where they should go for dinner. Although I did not do a post on them this year, I visit regularly especially when I have out-of-town guests and know the food will always be amazing and consistent. Chef Daniel Godinez is always adding new dishes to the menu and with the addition of the bar this year, you will find some delicious concoctions created by mixologist Cesar Cerrudo. Here is my last post from 2013. The Ranch Restaurant & Saloon never fails to impress when it comes to service and a menu that’s always consistently good. OC Restaurant Week is a perfect time to try them out if you haven’t already, but make sure you get your reservations in early because they fill up quickly. This restaurant has deserved a mention in my year end round-ups several years running because it simply is one of the best. 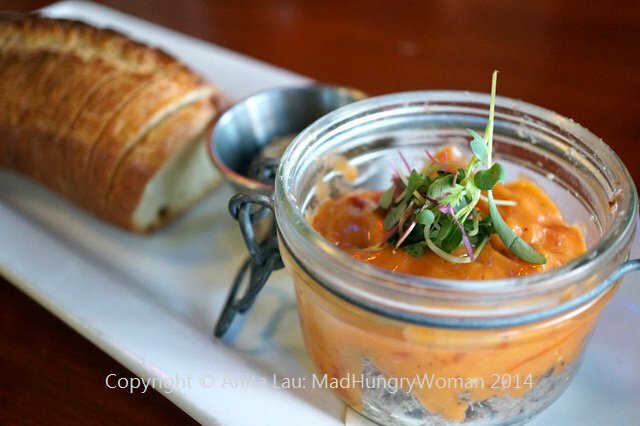 You can read about our visit during OC Restaurant Week early this year by clicking here. Another repeat favorite is Pizzeria Ortica in Costa Mesa. No words are needed! 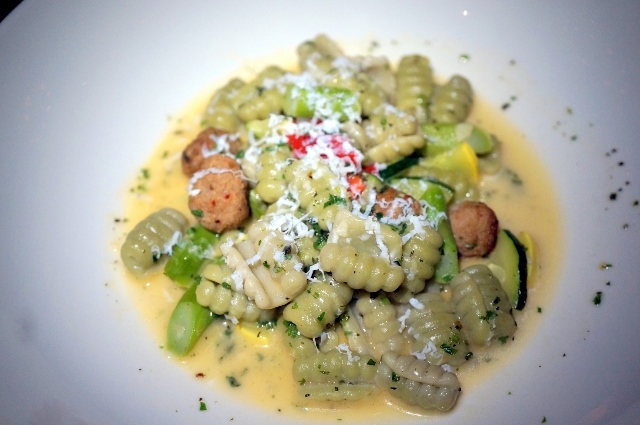 Chef Justin Miller turns out some of the best Italian cuisine Orange County has to offer. Here’s a post I wrote from their Valentine’s Day dinner this year. If you’re looking for breakfast or brunch, Break of Dawn wins hands down and it is also one of those places we return to over and over again. 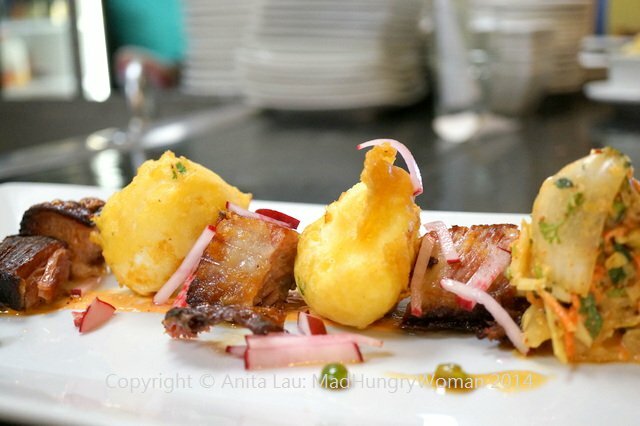 Chef Dee Nguyen’s menu is ever changing, always innovative and creative. Bacon and eggs are served but not in the way you’re accustomed to. You can read my post from this year when the restaurant moved to its new location in the same plaza. Stay tuned to my next post where I will feature some of my favorite Asian restaurants in southern California.